She's Fantastic: Caribbean Queen ANNE BONNY! 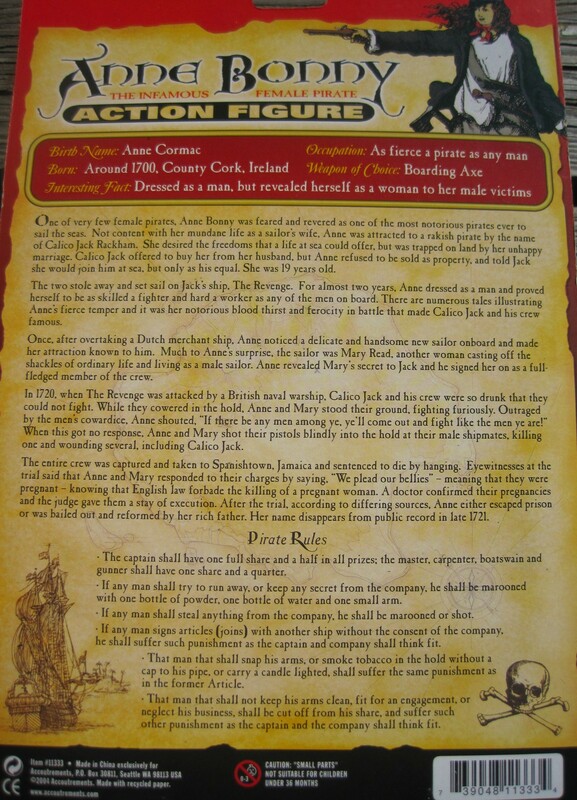 Anne Bonny was born in Ireland in the late 1600s to early 1700s. Her family came to America when she was very young, but the New World just wasn't the dream life they had expected. Her mother died, her father disowned her, and her fiery temper (and fiery red hair) became legendary when she burned down her father's plantation in rebellion (and supposedly stabbed a servant with a kitchen knife). As a teenager, she and her husband left for Nassau in the Bahamas. 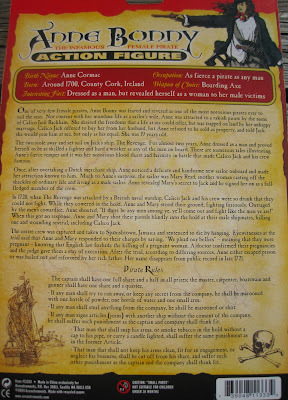 This was a notorious pirate sanctuary at the time, and before long Anne had left her husband for an infamous pirate named Calico Jack and joined him on his (stolen) ship, the Revenge. They were successful pirates for many years in the Caribbean. She is documented as having fought valiantly alongside the men, not to have disguised her gender (as some suggest), and quickly earning the respect of the crews she sailed with. She was a well-known wanted pirate for many years until her capture by a Jamaican vessel in 1720. After capture, she avoided being hung because she was pregnant. After that, her life is a mystery. There is no record of her death or release. Most likely her fame led her to be ransomed. 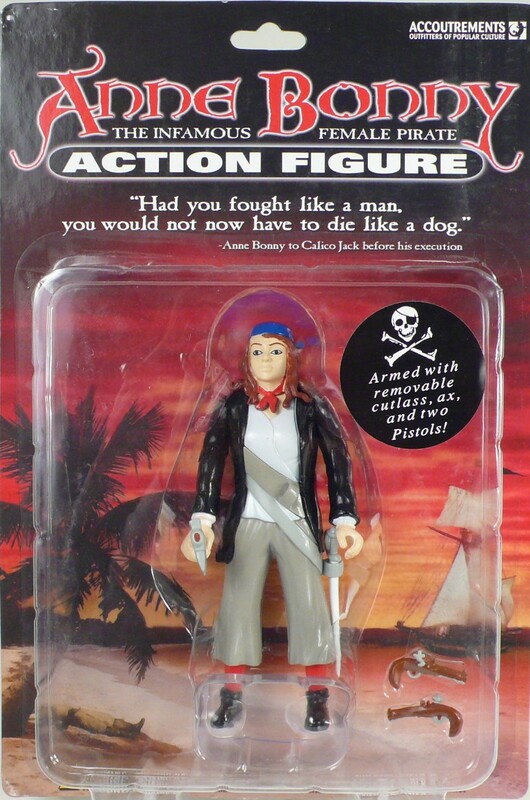 This action figure from Accoutrements is yet another of the great gems buried in their lines of novelty toys. Let's check her out in detail below! She has very minimal articulation, but that's never really the point with novelty figures like this. There are joints at her elbows and shoulders only. Anne comes with a sword and an axe. She also has scabbard loops on her side and front to hold them when she's rigging the sails.